We look after all your central heating needs, whether that be a basic service, boiler breakdown diagnostics or replacing your old boiler and fitting a new high efficient A rated boiler with a 2-7 year guarantee. We can install Combination, Heat only or system boilers. Our engineers have the knowledge to discuss with you your system requirement and will always carry out the work to our usual high standard. We also fit magna clean filters on all our systems, these units keep your boiler and pipework free from metal particles and prolongs the life of the system. The entire system is fed by two open header tanks in the loft. For central heating, a pump outside the boiler is used to pump water to the radiators. 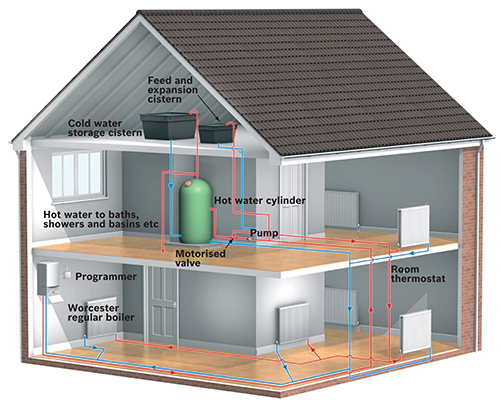 The domestic hot water, meanwhile, is stored in a cylinder tank. 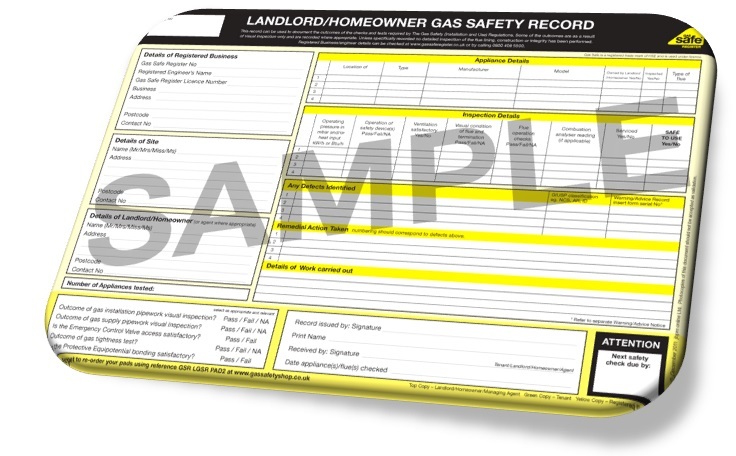 This system has drawbacks which include low water pressure at the taps nearest to the loft tank. 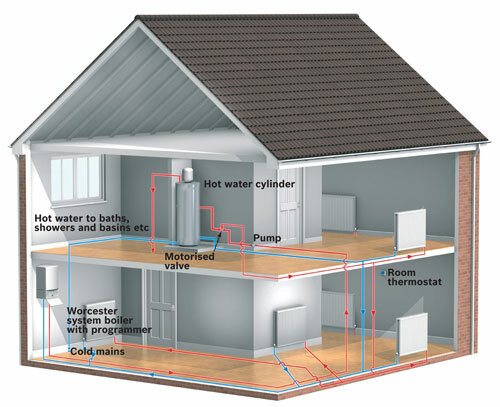 With a combination boiler, there is no need for installing a separate hot water cylinder or a water tanks in the loft. The boiler heats hot water instantaneously given you sufficient pressure to your hot water taps as well as doing its normal job of heating your home. This system will give you advantage of running two hot water taps at the same time without reducing the hot water pressure. It is great for bigger family homes and or homes with two or more bathrooms. This is an ideal choice for homes with low water pressure. If you would like to discuss your needs in more detail or would like to make an appointment please contact us at your earliest convenience.